Fast and easy bug removal! Stoner Bug Eraser wipes effortlessly remove baked on bugs, bird droppings, and road grime with a little bit of water and gentle rubbing. Bug Eraser wipes will not cause scratching or paint swirls due to the softening agent applied to each wipe sheet. Stoner Bug Eraser wipes are safe for all automotive surfaces! Stoner Bug Eraser wipes contain no harmful solvents or degreasers making it safe for you to use on all surfaces of your vehicle. 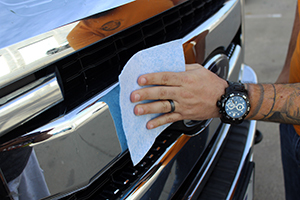 Whether bugs or bird droppings are stuck to your headlights, grill, bumper, mirror housing, or hood, the Stoner Bug Eraser wipes will safely remove them! Spray till wet then wipe bugs away! To use, activate the wipe with 2 oz. of water and then gently rug wipe along area with bugs or bird droppings. 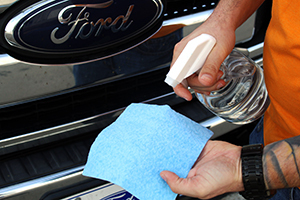 Wipe surface dry with a microfiber cloth.